1. Leave some finely sliced chillies to soak in vinegar. This will be your concoction served with the chow mein. 3. Cook the chicken in a wok with 2 tblspn oil till brownish in colour. Then take it out and set aside. 4. Add julienne carrots, bean-sprouts and red peppers to the wok. Then sauté for a few mins till the vegetables soften and are cooked. Meanwhile boil the egg noodles (pre-cooked noodles are a quicker option). 5. Then add both the noodles and the cooked chicken to the vegetables mix. 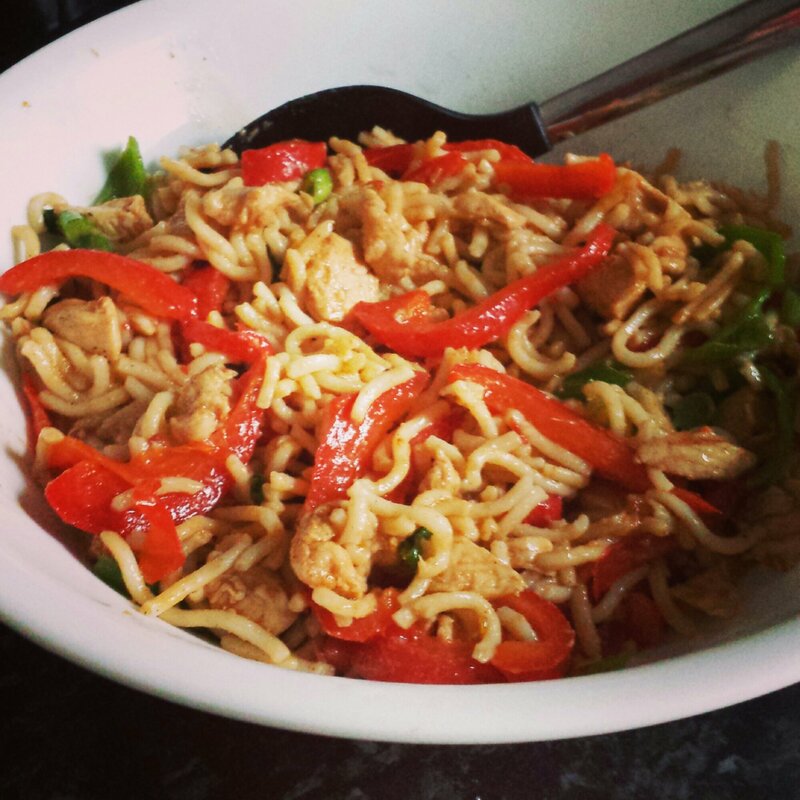 Mix and let it cook for a few minutes so the flavours can be fully incorporated into the noodles. Garnish with chopped spring onions and serve with a splash of the vinegar concoction.